This winter has been brutal hasn't it? My poor children have been cooped up for what feels like... forever months as the temperatures drop from cold to even colder! To say we have cabin fever would be accurate! Honestly, we have developed a case of the lazy's too. We spent several days doing nothing to the point of sheer exhaustion. After another day with restless and cranky kids, who spent the day in various stages of doing nothing other than destroying the house, I realized it was time to find ways to get them moving, having fun and hopefully even learning something too! 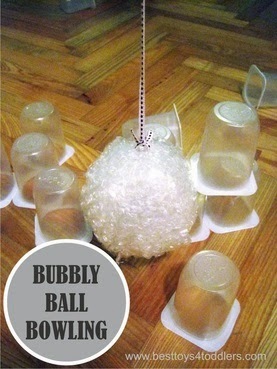 Bubbly Ball Bowling sounds like a lot of fun! My kids really like playing ball, so I have a hunch bowling would go over well! My kids have discovered the sheer joy of balloons. 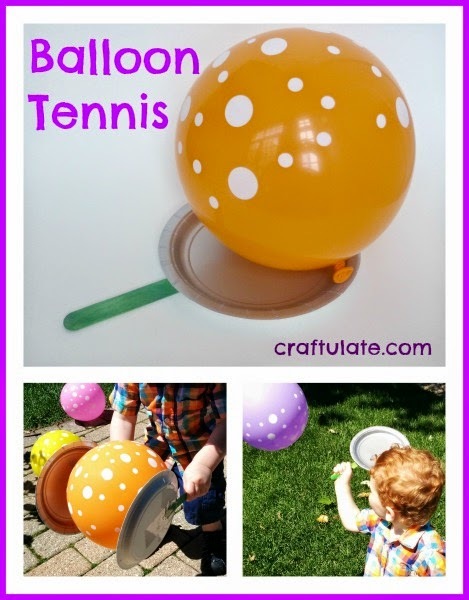 Harper isn't old enough for this game yet, but Roo would love to play Balloon Tennis! When we get "bubbles" my kids can't wait to start popping them! This Bubble Wrap Hop Game is a great way to burn off a little excess energy for kids of all ages! 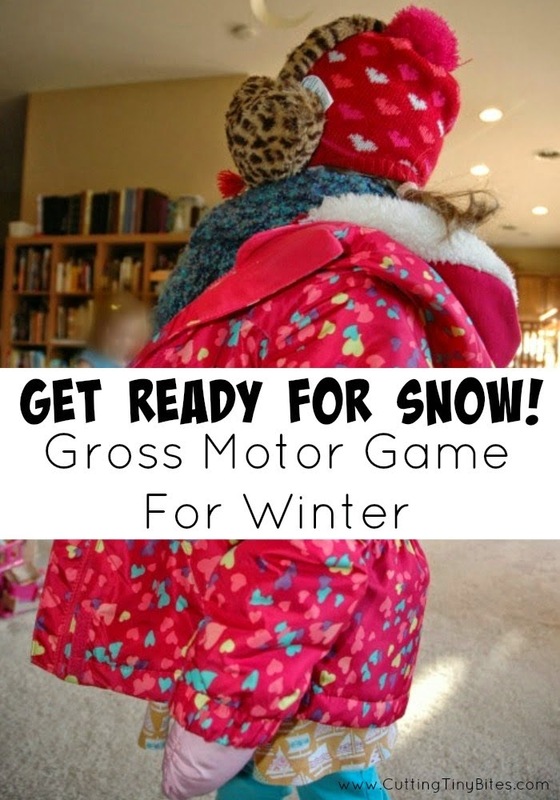 Getting ready for snow play is a good way to wear kids out...work on gross motor skills. 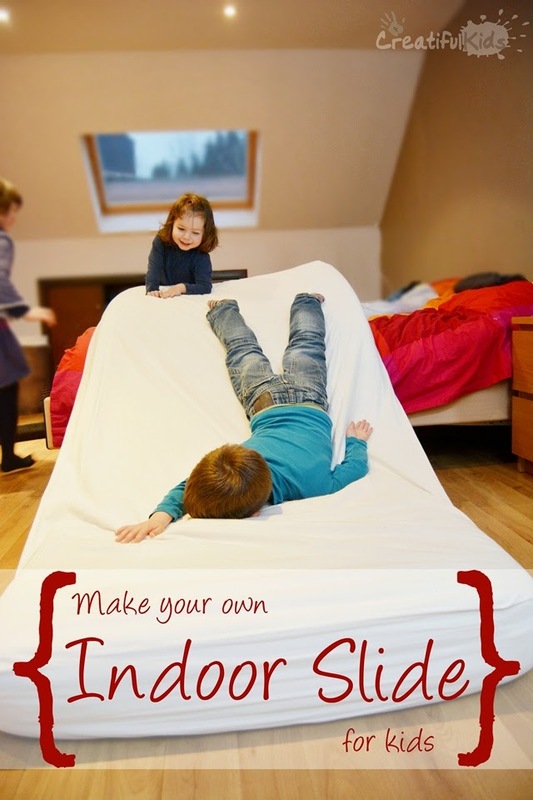 If bad comes to worse, you can always keep the kids really busy by Making an Indoor Slide for them! If you have an indoor trampoline (and shouldn't we all!?) 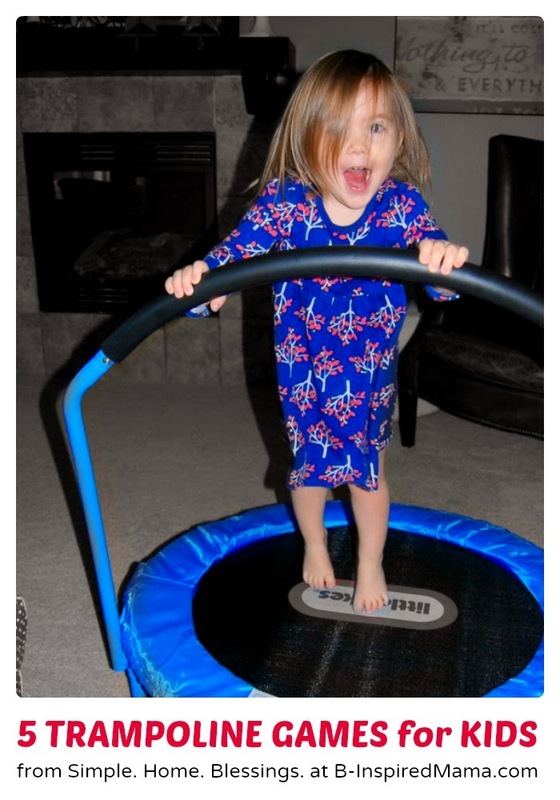 these trampoline games will be a big hit with the kids! How do you keep your kids active on indoor days? I would love to hear your ideas and tips!